Come enjoy the amazing, Just Add Water! 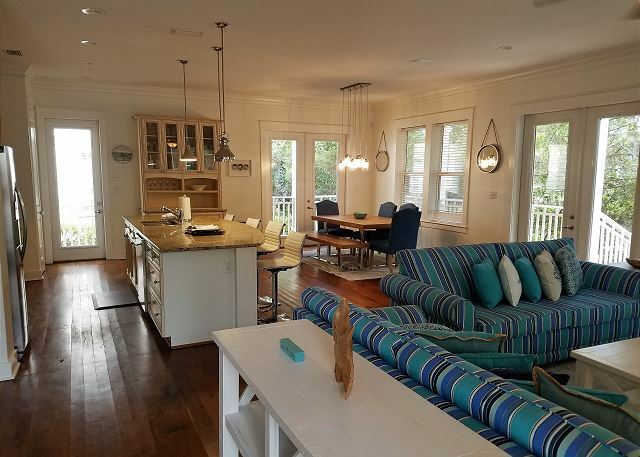 This newly decorated beach style home sleeps up to 18 guests, has 5 bedrooms which includes 3 king master suites and 4.5 bathrooms. 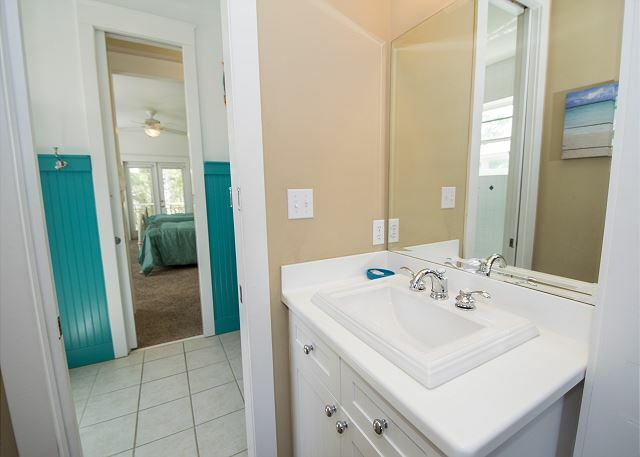 Located in the heart of Seacrest Beach, Just Add Water is the perfect home for your family vacation! 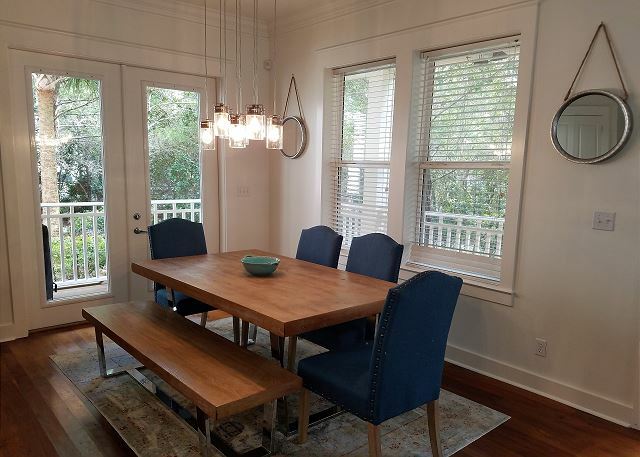 As you walk in, you will notice the open concept living room, kitchen, and dining room. 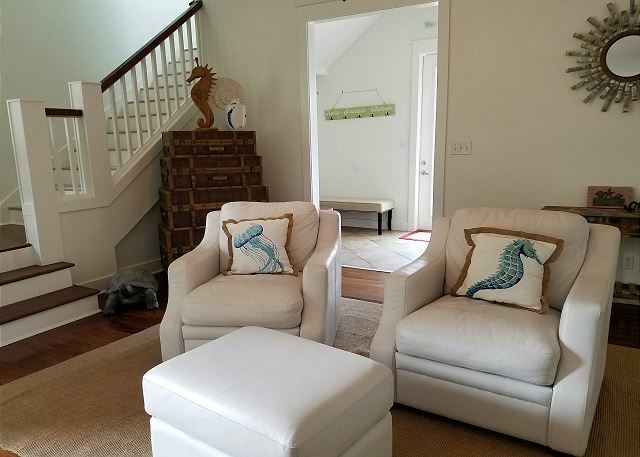 beautiful furnishings as you enter the light filled first floor. 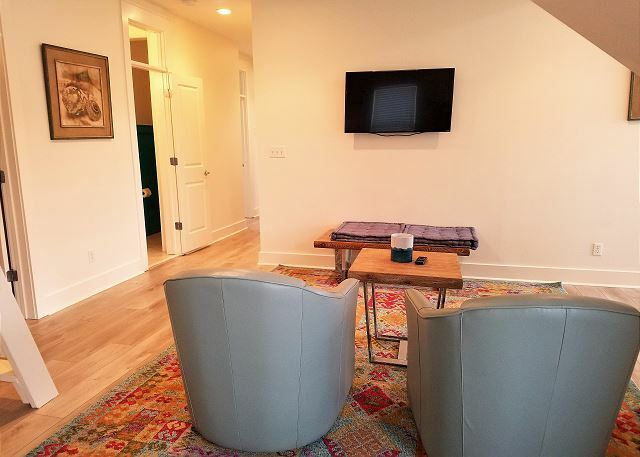 The living room, kitchen, dining room, and sitting area are all rolled into one in a wonderful open floor plan. 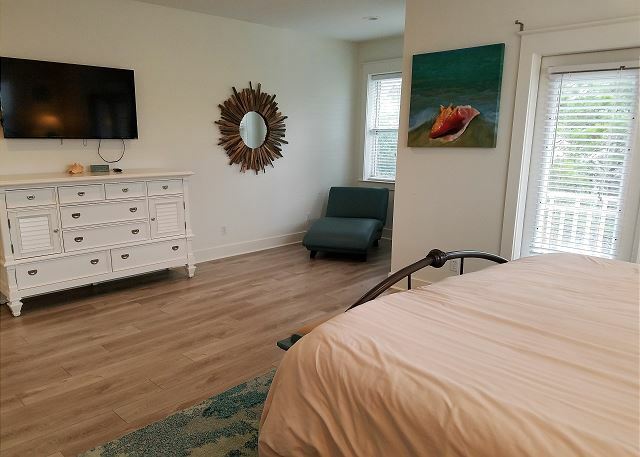 The first floor master suite is equipped with a king size bed and a connecting full bathroom that includes a large walk in shower and double vanities. 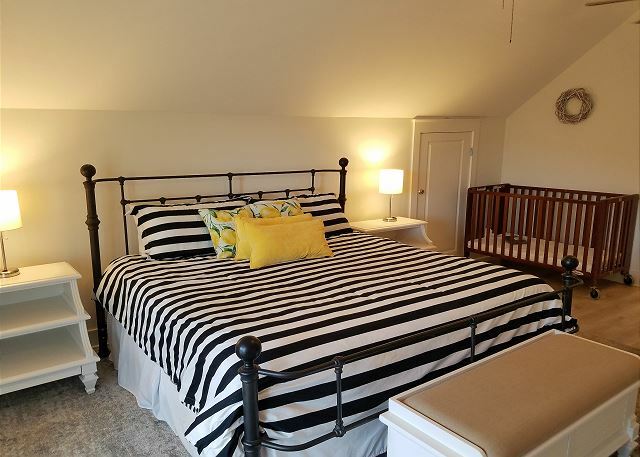 As you walk up to the second floor you will notice that there is a spacious master suite with a private bathroom that includes a tub, walk in shower, and walk in closet. 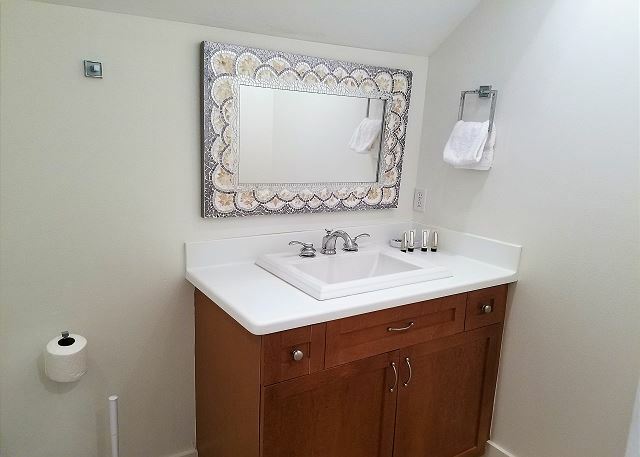 There are also two more bedrooms that share a connecting Jack and Jill bathroom. 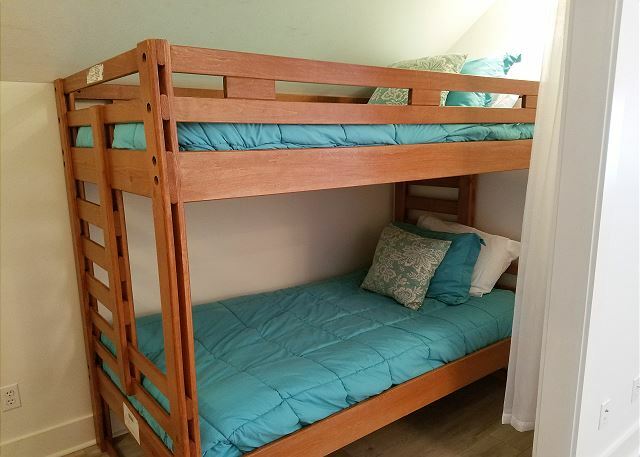 One of the bedrooms includes two full size beds and the other has twin set of bunks. 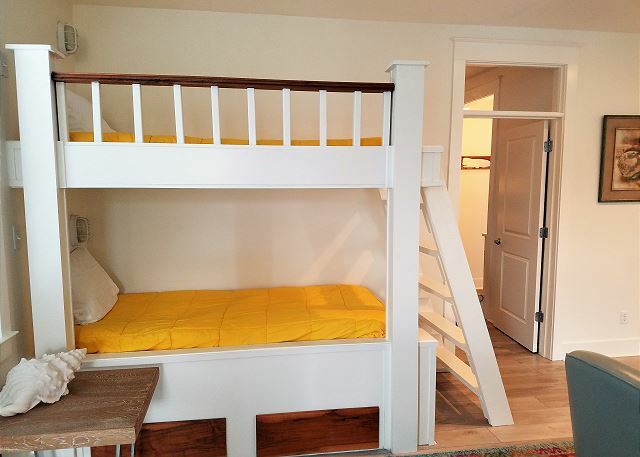 There is also an additional set of bunks on the stair landing. 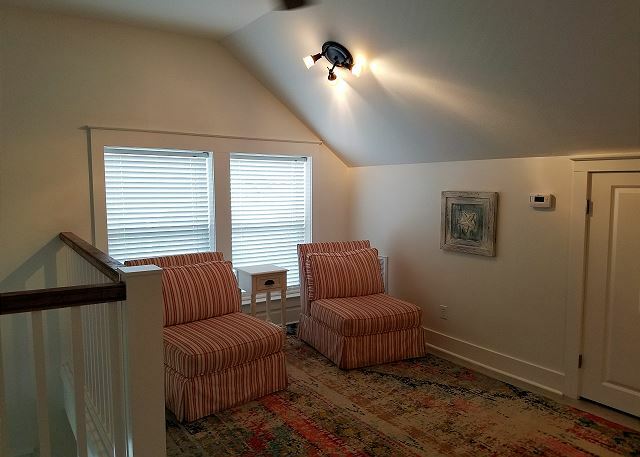 On the third floor, you will see that there is another master suite. 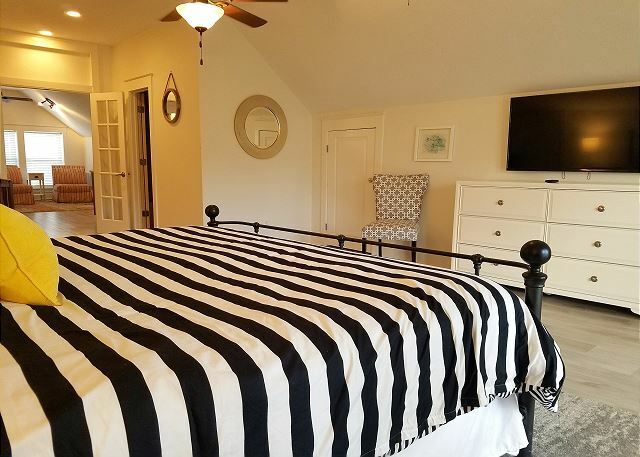 This room includes a king size bed and a connecting master bath with a tub and shower. 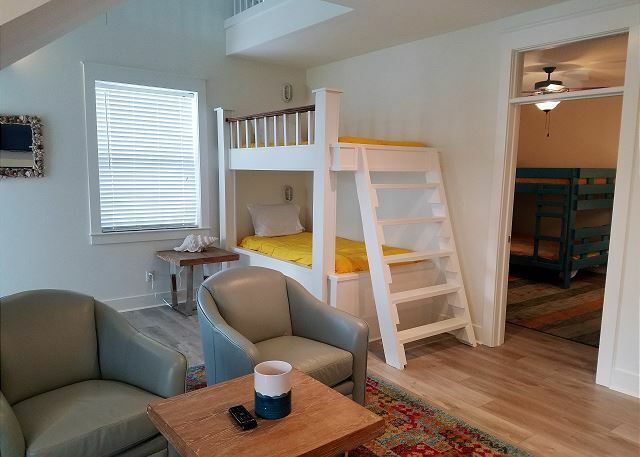 The third floor also has a bonus area equipped with a kitchenette, breakfast nook, and its own hideaway bunk room. Outside the backyard there is an amazing private, heated pool and deck area. There is plenty of room to sit and layout! 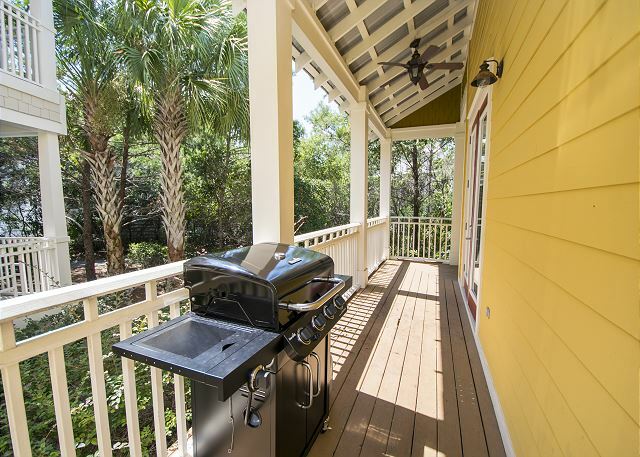 On the patio, there is also an outdoor dining table and a stainless steel, gas grill! 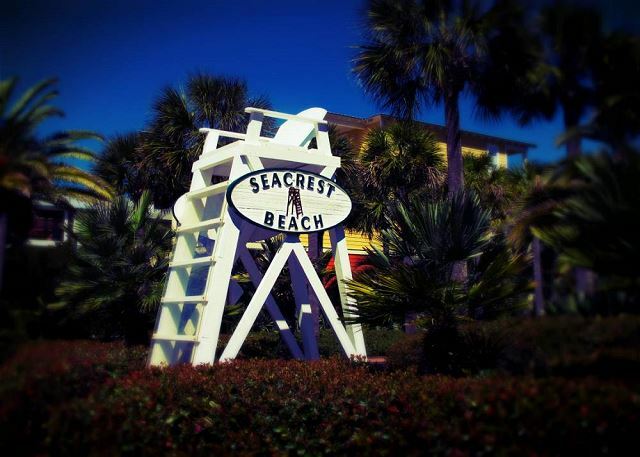 Seacrest Beach also offers a 14,000 sq. 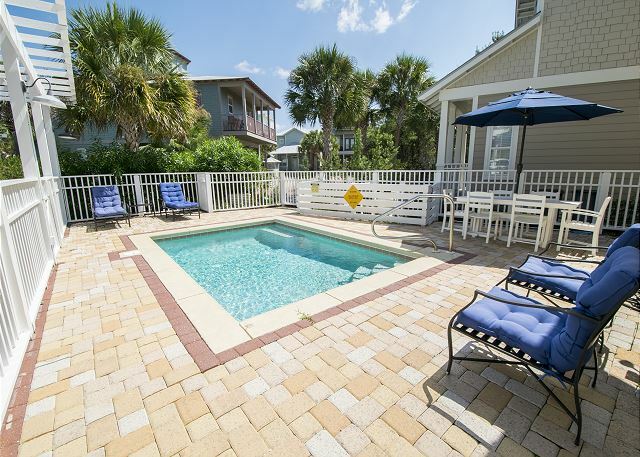 ft. community pool and a beach shuttle March 1 to October 31 or an easy walk to the . 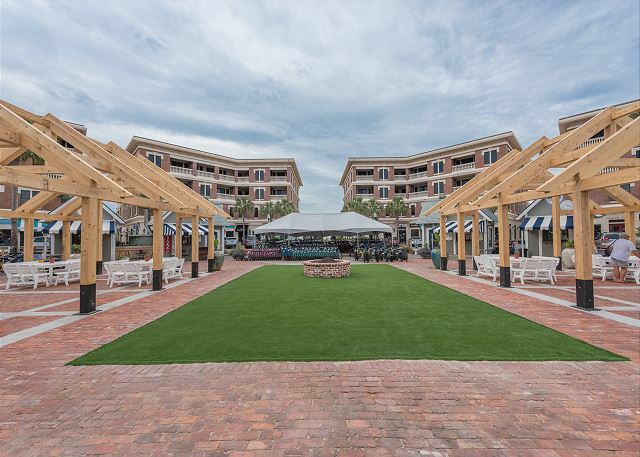 Seacrest Beach is an easy walk into Rosemary Beach for shopping and dining. Amazing place to stay for a large party! We rented Just Add Water for a family wedding, so our whole family could stay together and have a central meeting place. Many of our wedding activities were at Peddlers on 30A.The location was perfect, the house was perfect and the weather was perfect! We could bike or walk to every wedding event! Every age person we had enjoyed the biking, shopping, the beach and the pool! I would highly recommend this property and we hope to go back! Everything was great. The house was as big as advertised; very clean, and close to everything. 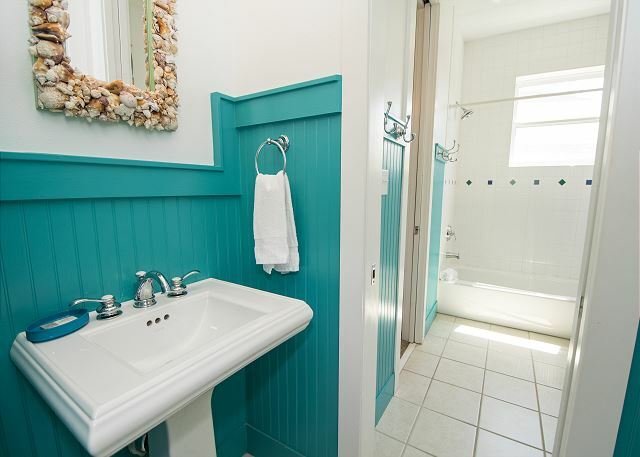 However, we thought that supplying only minimal toilet paper was outrageous considering the high cost of the house. For the $2200 we spent, you could have spent $10.00 for toilet paper. Thank you for submitting your review Fred - we are glad that you enjoyed your stay at Just Add Water. This is a gorgeous home! 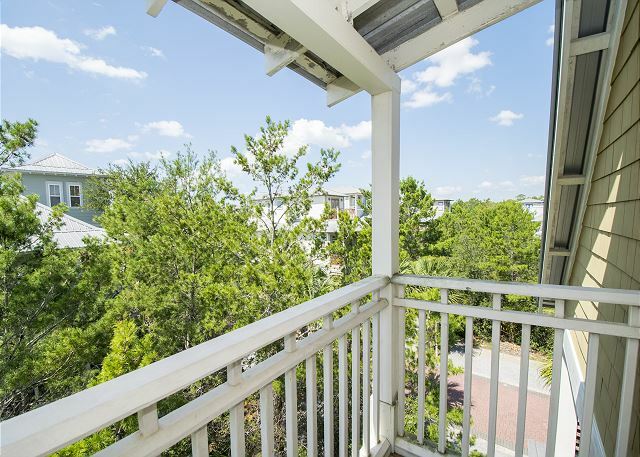 Located in the desirable area of Seacrest Beach there is so much to enjoy while you are here. From shopping to fine dining to sunset watching - it is all here. 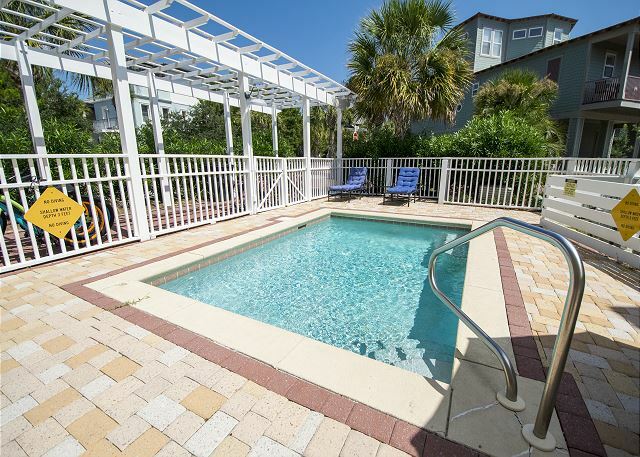 Lots of space to enjoy all of your family members and a private pool for evening lounging! Regarding the amenities - we do provide a starter set only and this is clearly listed in our information. If you have questions about what is provided please do not hesitate to call our office any time - Benchmark would be happy to answer all of your questions! We stayed for a few days to do a girl's tennis team trip at Rosemary. Loved having the pool right outside our door. House was beautiful and management company was EXCELLENT to work with!!! Would definitely use them again. Thank you for submitting your review! We are so glad you enjoyed your stay at Just Add Water - what a great home for a girl's trip! Plenty of space, great pool, great neighborhood - lots of memories to be made here! 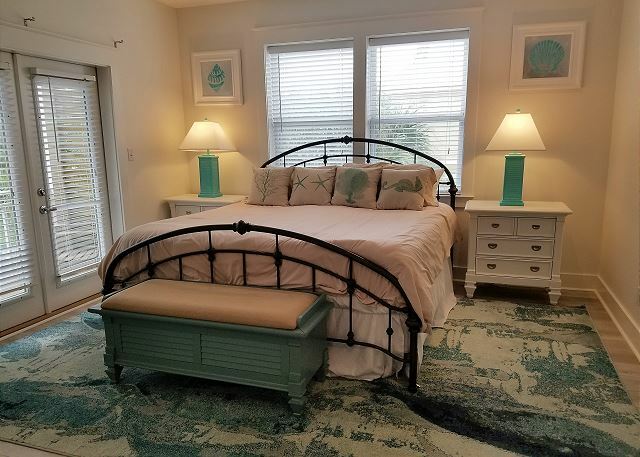 This is also a great home to share with another family or two for the holidays or Spring Break - it continues to be one of our most popular rentals so call Benchmark today! 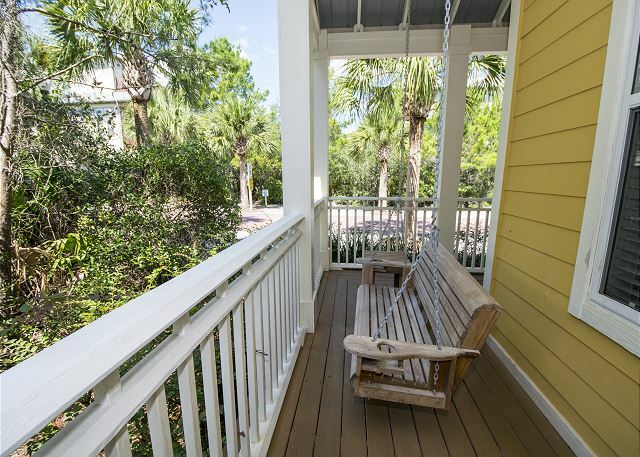 Let us help you envision your next family vacation on 30A! House was great. Lots of beds, plenty of room. Its kind of a hike to the beach, and the shuttles shut down early. They should provide a detailed list of things they have. Beach toys, kitchen items, etc. 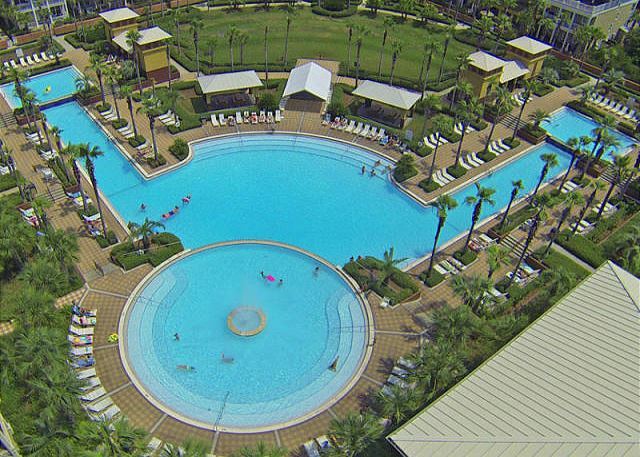 This was the 3rd year that we have rented Just Add Water and it was the best rental experience of the 3 years. 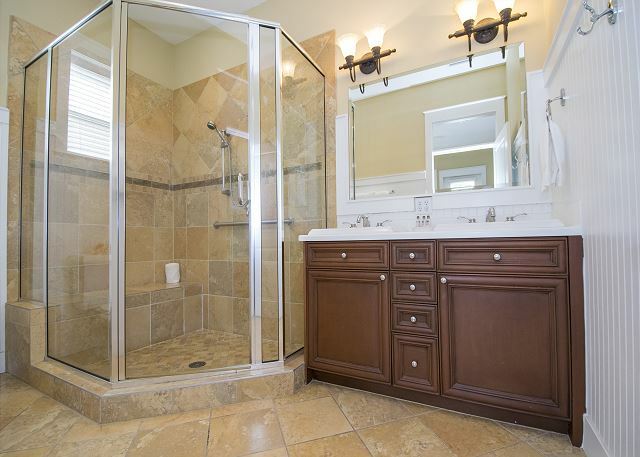 The new owner of the house put allot of money into upgrades and the house was in great shape. 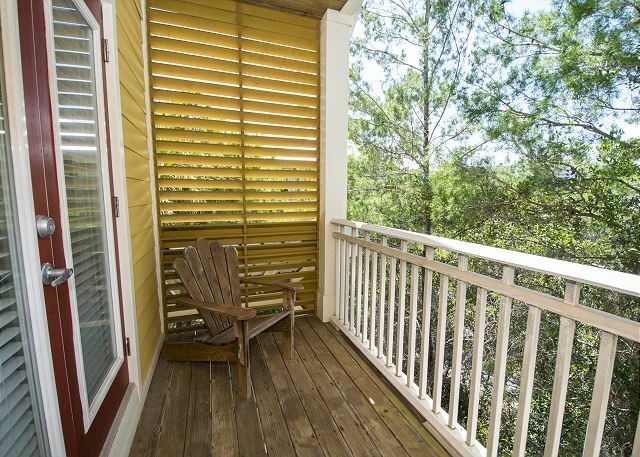 The location is excellent in that it is a 5 minute walk to the Seacrest Village. The young grandchildren like the small pool in the backyard. Benchmark Management by far exceeds our expectations in service. They are spot on if their is a question or something needs to be repaired. We are looking forward to our return for the 4th year next June 2019. Thank you Roger - we cannot tell you how much we appreciate your kind words - and we cannot wait to have you back in 2019!! 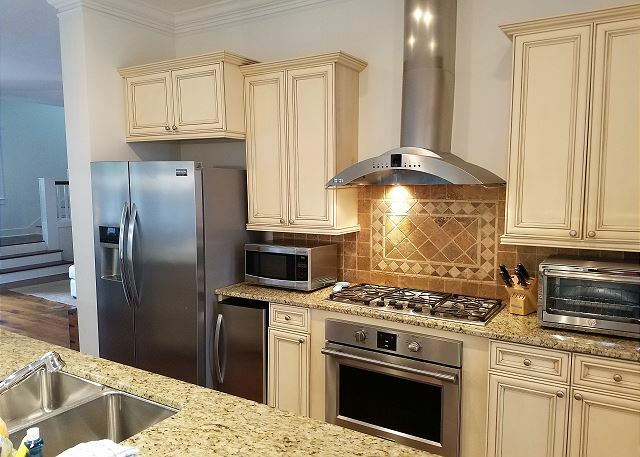 We do work hard to ensure we are meeting all of your expectations and as you mentioned these owners have put a lot of money (and love) into this home so that all guests have a 5 star experience! 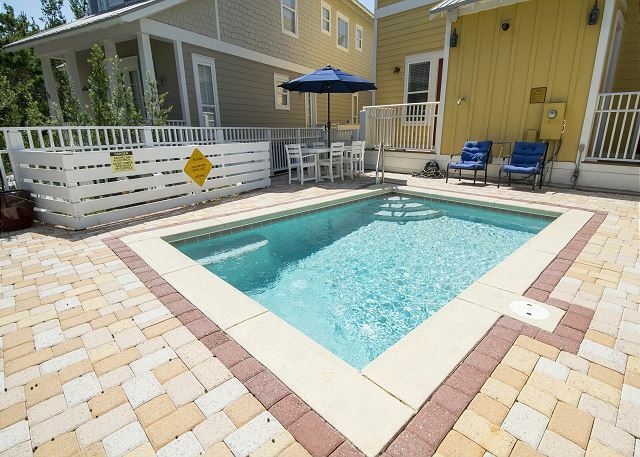 Just Add Water is a fantastic property with its own private pool and close proximity to area attractions - wonderful restaurants, movies and music - you name it and we can help you find it! And we certainly cannot forget the beach - a tram will pick you up and take you there - no worries while you are at the beach! 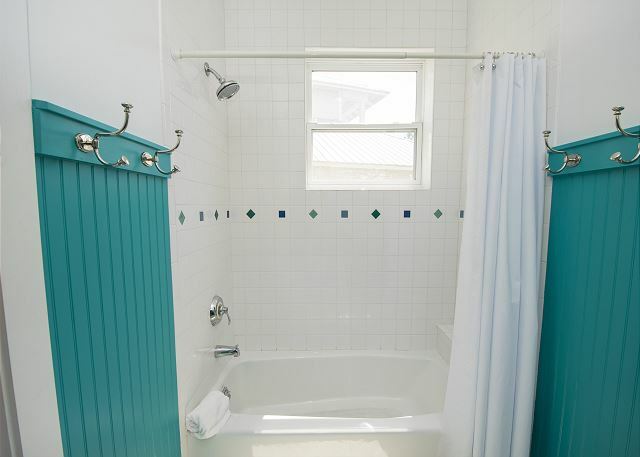 Call us today so that you might have the experience of staying at Just Add Water - it is very popular so please call today! We are so glad you enjoyed your stay and we appreciate that you took time to submit your review! We agree - this is a wonderful home and a great place to make new family memories! 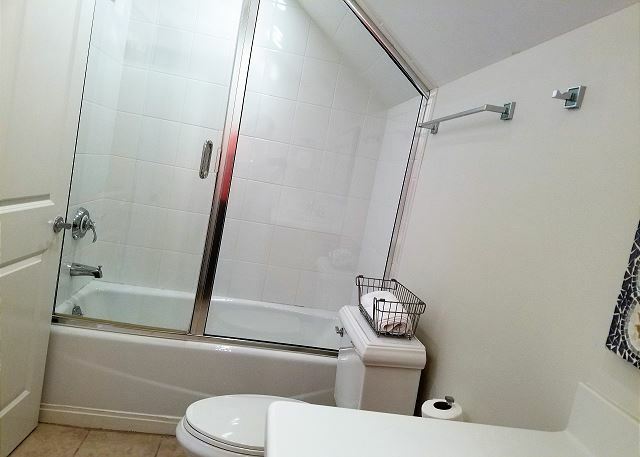 There is plenty of space for all the together time you might want and also plenty of space to find some quiet if needed! Very easy trip to the beach - just call the tram whenever you would like to head that way! And this is such a wonderful neighborhood - great for evening walks and bike rides! 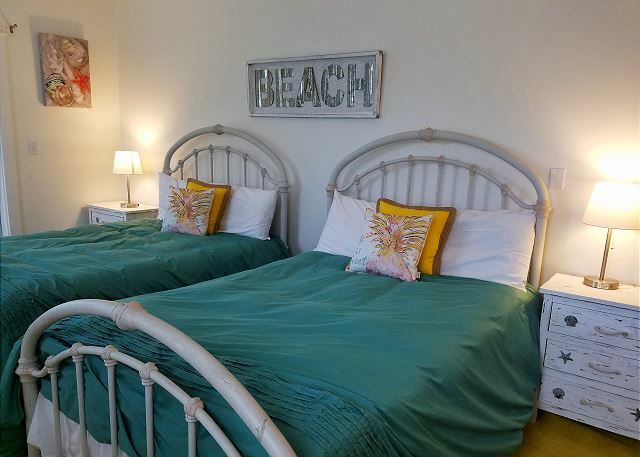 This home is the complete beach vacation package and dates are limited - call us today! What a wonderful week at the beach and Just add Water. We had plenty of room for all 16 of us. The house was very clean and and we loved the small pool for all our little ones to play in. We cooked in several nights the gas grill was very nice . Benchmark was great!! Very friendly staff and very helpful with all my questions. We had a couple of small things that went wrong a toilet did t work and cabinet door didnt close and the convection part of the oven didnt work. They sent someone over as soon as we called fixed the toilet and cabinet and were going to send someone for the oven but the bake part worked and we needed to use it so told them to wait. So Im sure they will have it fixed for the next guest. This was probably one of of most favorite vacations ever. Thanks benchmark for helping things to go so smoothly!! Thank you for submitting your review! We are glad that Just Add Water was a good choice for you and your family! We would like to know more about your ranking of a 3 for the Property Condition - we do take your comments and suggestions very seriously. This property has had some fantastic upgrades - new for the 2018 season. 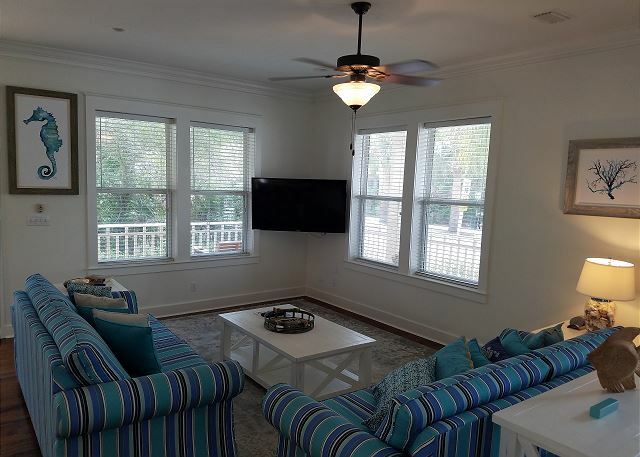 The entire interior of the home has been painted, new flooring has been laid and there is new furniture and decor! This is such a beautiful home! We do understand that there were a couple of small things that happened but fortunately we were able to get there right away to take care of those concerns - and we have ordered the parts necessary to make sure the convection oven is operational. Should you have any questions please give us a call! 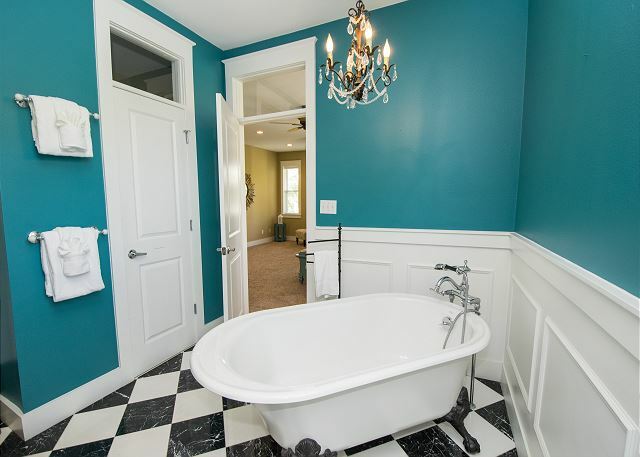 There are not many dates left for this wonderful vacation rental so please call soon! Just Add Water will be a perfect fit for your family - it is an experience you will not soon forget! Perfect House for a big group! 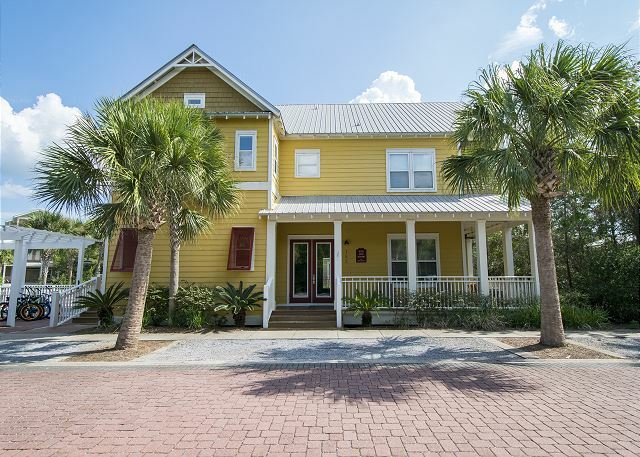 We rented this house for spring break and had 3 families (15 people) and it was perfect! It was super spacious and even more beautiful than pictured online. The heated pool was definitely a hit! I would definitely recommend this home! Thank you for recommending Just Add Water - we appreciate that you took the time to submit a review. This is a great home for several families to hang together! There is room for everyone which is great for making the Spring Break memories that will last a lifetime! 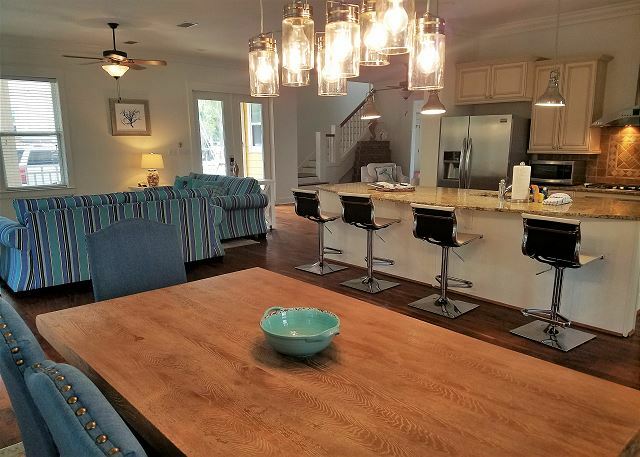 The owners have made some major upgrades to this property in preparation for the summer vacation season so it is ready for you and your family! The home is beautiful, the pool is fun and the area is ideal. 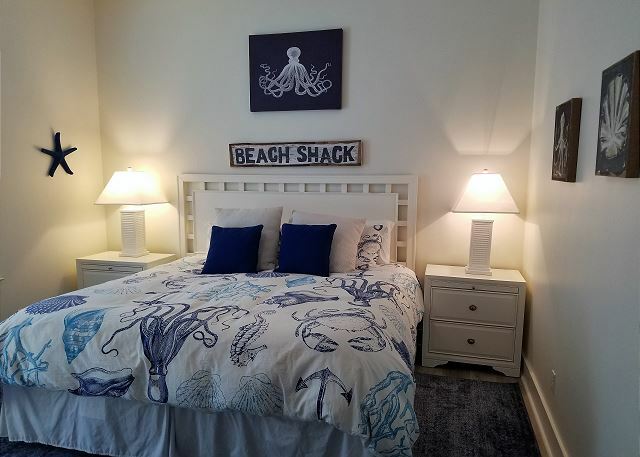 We would love to book Just Add Water for your beach vacation - call Benchmark today! Thank you for submitting your review. 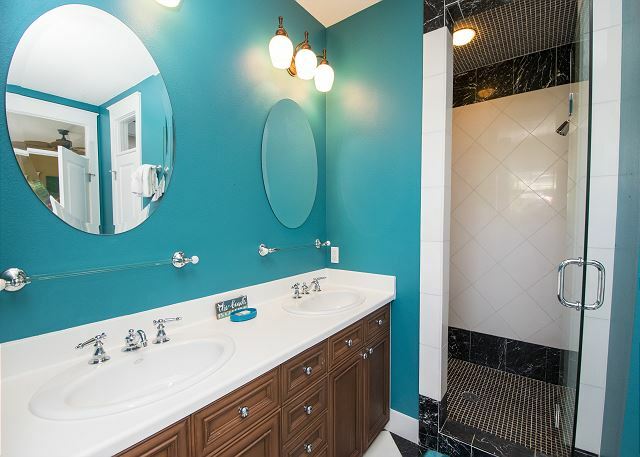 This property is so wonderful - location, location, location! And the owner has made some fantastic new upgrades - new flooring, painted the entire interior, new furniture - the list goes on! 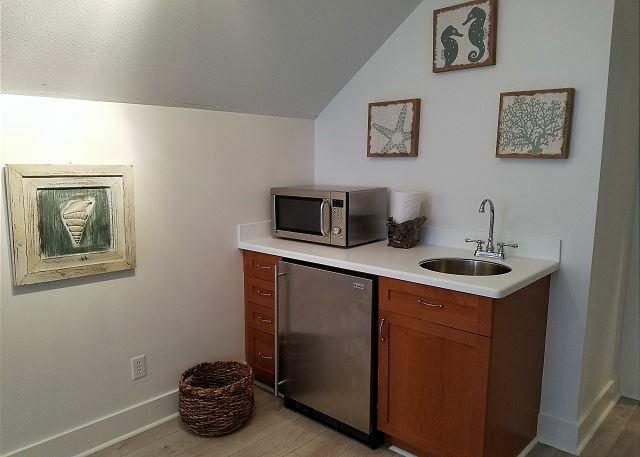 Just Add Water is a gem in the Seacrest Beach community - a wonderfully quaint community where you can walk, ride your bikes or take the tram. There are restaurants and shops and the beach! Yes - the beach! 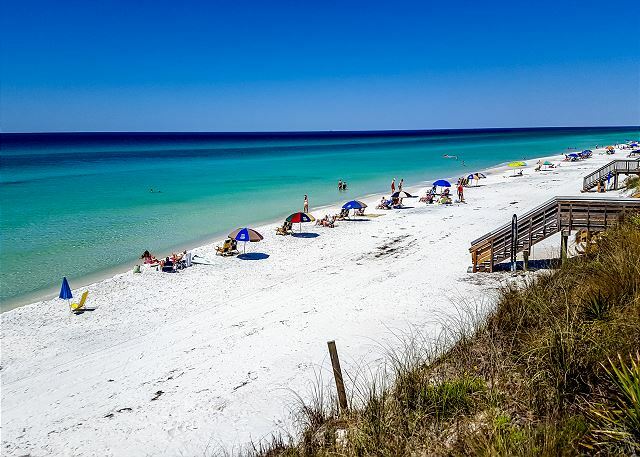 Just a quick tram ride and you are there - the beautiful white sandy beaches, the turquoise waters of the Gulf and maybe even a dolphin or two! When you are ready for an evening in there is plenty of gathering space for everyone and the pool is just out back because we know the kids never get tired of the water!! 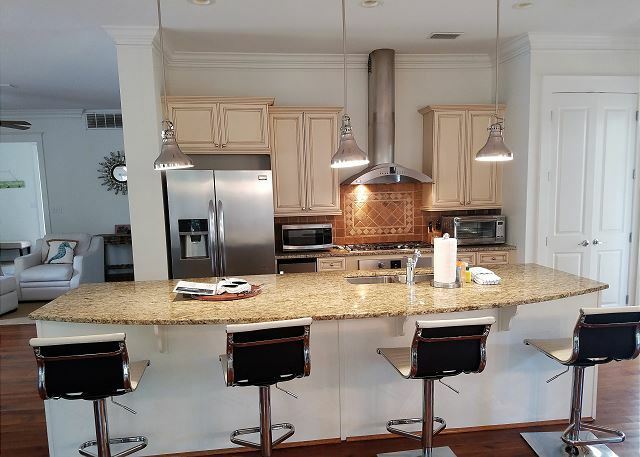 This home is a very popular rental - please don't miss out on this experience. Call us today! We had a great time in this house. 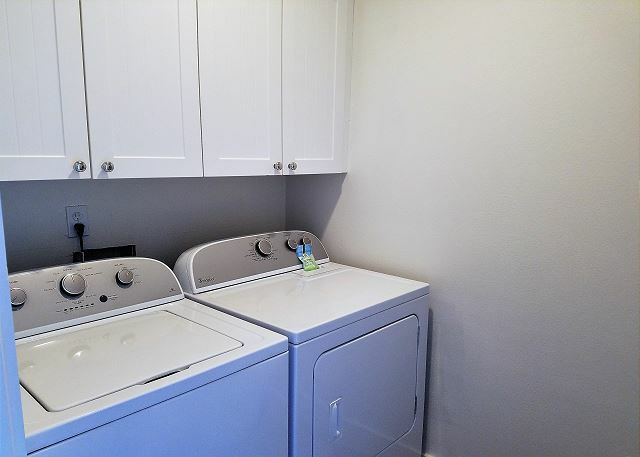 It was spacious, clean, and in a great location. 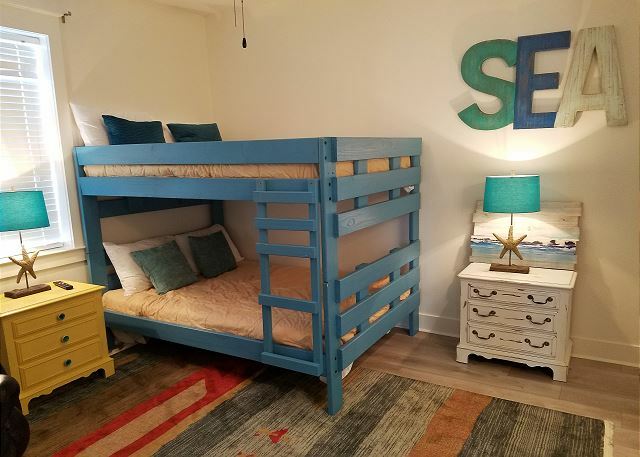 The beds were very comfortable, and my kids loved all of their bunk bed choices. Thank you for taking the time to submit your review! This house is so fun! The location is great - there is so much to do in this area - for adults and kids alike! We are glad you joined us and hope you will come again soon!